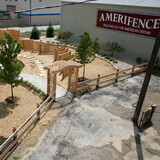 Amerifence is the largest Fence / Deck Company serving the Indianapolis area. Grandpa Joe started the original fence company in Chicago, IL in 1946. Serving Indianapolis and the surrounding suburban areas, we are a full service fence, deck and rail company in central Indiana. 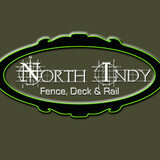 North Indy Fence Deck & Rail’s is dedicated to providing exceptional quality service for residential and commercial properties. We purchase the best products to insure top quality and fair pricing to our customers, and have experienced installation crews that serve the needs of our customers. We install many different styles and kinds of fence, as well as provide a variety of other services in the deck and railing areas. Whether residential or commercial sells and installation of ornamental iron fencing, vinyl fencing, PVC fences and all styles of wood fencing and chain link, as well as, access control gates, all to suit your needs. We’re large enough to handle your fence, deck and railing needs and small enough to assure the care and personal attention you expect. 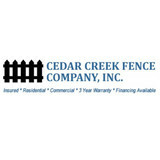 Cedar Creek Fence Company Inc. offers quality custom cedar fences for your residential properties. We have been serving Central Indiana for over 10 years with commitment to quality fences and outstanding customer service. 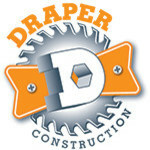 Draper Construction is a veteran owned company that provides residential construction services. We specialize in fences, decks and are a licensed general contractor which allows us to complete kitchen and bathroom remodels as well. We seek to employ veterans as well as strengthen local communities through charitable giving. To learn more please visit www.draperconstruction.net. We believe in offering fences that give you great value for your money. Everything we design and construct is done within our company. 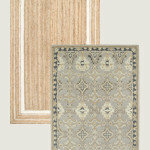 We don't subcontract any work and we are very proud of the products we sell and build. All installations are run by foreman with 12 plus years of experience & have been with Bullseye Fence for 10 years. This experience insures every fence we install meets our high standards of excellence. Do you need an estimate for your home or business? 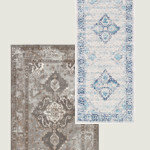 Do you want a professional opinion on what product best fits your needs? 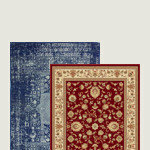 Please call us for your free estimate. 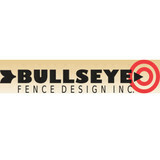 Bullseye Fence Design, Inc. will take care of you from start to finish. 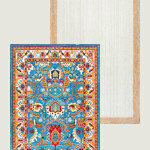 We would appreciate the opportunity to earn your business. Performance Services is a design and construction company specializing in high performing, energy efficient buildings that provide optimal environments. The company has served the learning and working environment needs of customers since 1998 and is a leading qualified provider of design-build, guaranteed energy savings contracts, solar power solutions, and Energy Star buildings. The company provides engineered solutions with performance guarantees and a commitment to 100% customer satisfaction. Affordable Fence Builders is a full-service fence company that operates throughout Indianapolis and central Indiana. Affordable Fence Builders takes pride in providing quality workmanship in both the residential and commercial markets. Whether you have an existing fence that needs repair or you have ideas on building a new custom fence, call today for a free estimate! Discover how affordable it can be to satisfy your fencing needs when you work with the professionals at Affordable Fence Builders. Glidden Fence Company was established in 1976 and is still managed by the same owner, Tom Glidden. At Glidden Fence we believe in using top quality materials to ensure a beautiful fence that will last for years to come. We are a family company that is large enough to handle big projects but small enough to give you the care and attention that you need. JT-Fencing is a small family owned business that is based out of Lafayette, Indiana. We have over 15 years experience doing the very thing we love... building fences. We strive to set ourselves apart from the competition. We feel that the most important part of running a company is getting to know your customers. If you can't get on a personal level with the people who need your services you will never truly understand their need. We also understand that this could be one of the biggest purchases you make as a homeowner. We have pledged to keep our costs low without sacrificing quality. We use only the top quality materials and the best in lumber. As always, our estimates are always free. "My personal reputation is based on quality.I offer a full Life of fence warranty on all workmanship. If you are not satisfied with the finished product, I will personally see to it that your expectations are met. I will do my best to make sure that you, the customer, are satisfied. " We all know that fencing increases security, prevents robbery and establishes borders. Beautifully crafted fencing, however, goes a step further by also enhancing the look of any property. We offer a selection of styles, colors and materials to compliment your home or business while providing an exceptional level of security. We all know that fencing increases security, prevents robbery and establishes borders. Beautifully crafted fencing, however, goes a step further by also enhancing the look of any property. We offer a selection of styles, colors and materials to compliment your home or business while providing an exceptional level of security. We are C&D Fence Company. We build fence, decks and polebarns, specializing in fence construction. For the security of your family and pets. We strive to meet all your fence construction needs. Lafayette, Crawfordsville, Greencastle and all surrounding areas. Insured and references. We construct vinyl, chainlink, wood, farm and industrial fence. We can also order fence materials in all types. and carry a limited stock of supplies. Who We Are C&D Fence Company was established in 1994 by Harry Dawson. First located in Linden, Indiana, we moved to just outside of New Richmond in 2006. Harry has been building fence since 1976 with his father and brother as Dawson Fence Company. He branched off from them creating C&D Fence Company. We specialize in custom built fence and gates to suit your needs. No matter how big or small the project, we will give you the best fence possible, while keeping costs low. Your Sheridan, IN fence installation and repair professional will work with you to create your ideal fence. Find a fence contractor in Sheridan, IN on Houzz. Narrow your search in the Professionals section of the website to Sheridan, IN fence contractors. You can also look through Sheridan, IN photos to find examples of fencing and gates that you like, then contact the professional who worked on them.